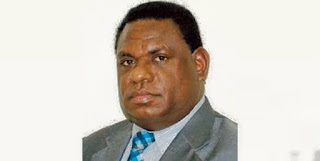 PNG Opposition Leader Patrick Pruaitch said today he believed any alternate government would have brought down a better 2019 National Budget than the government of Prime Minister Peter O’Neill. Mr Pruaitch said the O’Neill Government reduced funding in real terms for the health sector and dramatically slashed the necessary allocation for tuition fee free education, a clear signal ongoing problems in both sectors have not been resolved. The Opposition Leader said he had no doubt interference from the Prime Minister’s Office contributed to a highly irresponsible budget that neglected the long-suffering health sector, as well as education and law and order. Mr Pruaitch said almost on a daily or weekly basis the public has been hearing about lack of drugs and medicines at hospitals, health centres and aid posts around the country at a time when polio has re-emerged after being wiped out 20 years ago. Mr Pruaitch said the 2019 National Budget provided ample proof the O’Neill Government had no interest in looking after the welfare of ordinary Papua New Guineans, shifting funds to inflated areas involving misappropriation. Mr Pruaitch said most tertiary students would have no difficulty adjusting the budget to ensure there was adequate funding for health and education without seriously affecting other priorities. The Opposition Leader said Mr O’Neill’s attempts to denigrate the successes of the former National Alliance-led Government was “pathetic and naïve. “The previous National Alliance Government outperformed the current government in every meaningful economic indicator. It is true, as Mr O’Neill said, that the previous government had seven or eight budgets with a surplus of around K8 billion. “The surpluses symbolised good fiscal management. The previous government achieved a lot more with much less expenditure, including very positive economic growth rates, significant increases in employment and rapidly rising living standards. “The O’Neill Government in just six or seven budgets has left future generations with an additional debt burden of K20 billion, falling average incomes, increased levels of poverty – plus the disappearance of tens of thousands of jobs. “The 2019 Budget is themed, “Building a Broader Economic Base”, which is what in fact the former Somare Government achieved, and which is gradually being destroyed by mismanagement and corruption. Mr Pruaitch said some comments made by the Prime Minister in Parliament were outright lies. “Nowhere has the World Bank or IMF stated that growth levels have been conservatively stated and that they will be much higher next year than the 4% estimate by the O’Neill Government,” he said.